Want a functioning Android PC? 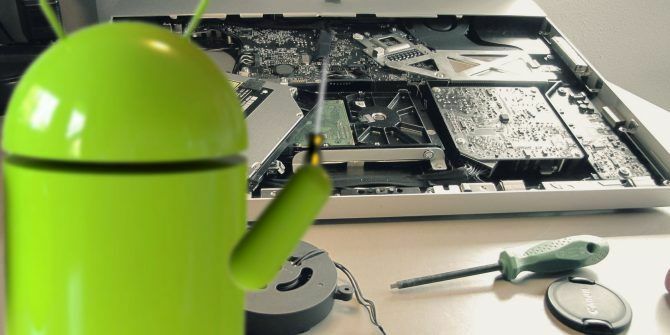 You can try installing Android on a computer or laptop, but consider yourself lucky if it works! Certain cheap parts, though, function without problems. Here are some of the parts that you can use to build an Android PC. Before looking at the hardware, consider the operating systems on offer. You have a few options when it comes to running an Android computer. Phoenix OS: The best installable version of Android—as of 2018—is Phoenix OS. The installation can be a little complicated. Read our Phoenix OS installation tutorial Create Your Own Android PC With Phoenix OS Create Your Own Android PC With Phoenix OS Phoenix OS is an excellent choice if you want to run an Android OS for PC. Find out system requirements and how to install Phoenix OS with this easy guide. Read More to save you time and effort. Android-x86 Project: The Android-x86 Project can install Android on a PC. While it isn’t optimized for a desktop interface, it is relatively easy to install. Android for ARM: Some Single Board Computers come with installable Android versions, such as the Raspberry Pi. Chromium OS At present, Chromium OS (which is the installable version of Chrome OS) cannot run Android apps. However, Android support is pending. Because Android uses a lot of Linux drivers, some computer parts work with x86 versions of Android. Unfortunately, Android isn’t fully compatible, which is where the problems come from. Of these parts, the most important are the motherboard and Wi-Fi/Bluetooth card. The motherboard determines whether or not your build will start up and the Wi-Fi/Bluetooth card determines whether your device will connect to the internet. If you just want an all-in-one computer to run Android, look no further than a single-board computer (SBC). 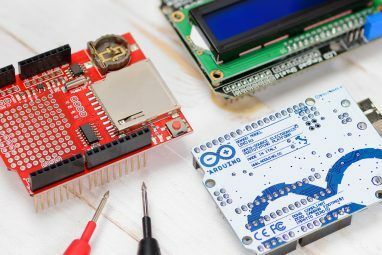 We’ve rounded up the best SBC units around, and almost all of them are capable of running Android. Orange Pi Prime: The Orange Pi Prime is a compact board with 2GB RAM on board. Banana Pi M3: This is the most powerful out of the SBCs listed here. However, it comes with a high price of over $100. Rock64: The Rock64 would be the perfect SBC, except that it lacks integrated wireless. That means you would need to either use its Ethernet data connection or it would require a USB dongle. Asus Tinkerboard: The Tinkerboard is a solid alternative to the Raspberry Pi 3. It has strong Android support and overall good specifications. The most complicated component of your computer is its motherboard. It’s the only part that will single-handedly determine whether or not your build will boot with Phoenix OS installed. You can also test whether or not your existing computer will run Phoenix OS by simply burning a bootable USB drive with Phoenix OS and running it. If it boots, then you can probably install Phoenix OS. Out of the components that I personally tested, motherboards using the Atom processor (specifically the Q1900 system-on-a-chip) offered the best compatibility with Phoenix OS. ASRock Q1900-ITX: The Q1900-ITX worked perfectly. I’ve tested its sleep function, screen saver, HDMI audio, and most of its ports—except the Parallel ports—with Phoenix OS. ECS KBN-E1/2100 (with serious problems): Like most AMD embedded boards, the KBN-E1/2100’s HDMI audio didn’t work and it wouldn’t sleep or activate a screen saver. Otherwise, the board worked fine. MSI AM1-ITX (with serious problems): Another AMD board, the AM1I’s HDMI audio didn’t work and it wouldn’t sleep or activate its screen saver. Otherwise, it worked fine. ASRock Q1900B-ITX: The Q1900B-ITX doesn’t have anything crazy in it. It’s a standard Bay Trail motherboard and is otherwise almost identical to the motherboard that I successfully installed Android on. It’s actually even more simple and shouldn’t have any problems. It uses the same audio chipset as the Q1900, the Realtek ALC662. ASRock Q1900M microATX: This motherboard is microATX, not mini-ITX. That means it requires a microATX case. Otherwise, it uses the same processor and audio chipset as the Q1900-ITX, meaning it should be fully compatible. ASRock Q1800B-ITX: This motherboard (selling at Newegg for $55 as of February 2018) should work as it uses the same audio chipset (ALC662) and a slightly older, but similar, processor as the Q1900. ASRock Q1900DC-ITX: This is the DC-version of the Q1900-ITX motherboard, which means it should work because it has the same audio chipset and processor. It also doesn’t require a power supply unit. Unfortunately, it’s hard to find at an acceptable price. GIGABYTE GA-J1800N-D2H: This motherboard also uses the ALC662 chipset and a Bay Trail (not Braswell) processor. It should be compatible. ASRock J3455B-ITX: This motherboard uses an Apollo Lake processor, but is otherwise similar in specifications to the Q1900 series. That means it uses an Intel processor along with a Realtek chipset. However, it uses a slightly different Realtek chipset than the Q1900, so audio may be an issue. ASUS PRIME J3355I-C: This motherboard has an Apollo Lake processor, which means it’s still current, but isn’t guaranteed compatible with Phoenix OS. There are some general compatibility rules. Most newer Atom-based motherboards should work properly. I tested Phoenix OS on an ASRock Q1900-ITX motherboard. The Bay Trail processor and Realtek ALC662 audio chipset are known to work properly with Android. That means motherboards with a similar configuration should also work properly. The ALC792 and ALC892 chipsets may or may not work properly, which would necessitate using Bluetooth speakers. Older Intel Atom motherboards use PCIe, mSATA, or mini-PCIe ports for slotting in Wi-Fi cards. Laptops also include these cards, although sometimes changing them can be a huge hassle. Like many upgradeable computer parts, mini-PCIe wireless cards can have compatibility problems when used with Linux or Android (which is based on Linux). I recommend trying to use whatever device you have on hand and—if that doesn’t work—buying a model with proven Linux support as an upgrade. If you’re building from scratch, you will want to buy an Intel wireless card. For its mainstream mini-PCIe cards, Bluetooth compatibility comes standard. Of the models that I’ve tested, the best include Intel’s budget line of 802.11ac card. While the Intel 7260 series of Wi-Fi cards works perfectly in Phoenix OS, I recommend the Intel 3160 for its combination of rock-bottom pricing and decent performance. The Intel 3160 is a 1×1 (two antennas, each capable of handling transmission and reception) version of the Intel 7260. It’s produced for budget laptops and, for the most part, works across almost all distributions of Linux. In my experience, it’s perfect for Android. Note, though, that the Intel 7260 works just as well with better performance. Both are very good options. I’ve compared it to other wireless cards and to be honest, you won’t see much of a performance difference between a dual-band N card and the 3160. What you will notice, though, is that the 3160 works without any issues, including Bluetooth. Just make sure you have two SMA plugs and antennas. Otherwise, you may suffer from connectivity issues, particularly for Bluetooth. You might wonder why Bluetooth is so important. A functioning Bluetooth card means that if your 3.5mm speakers don’t work, you can use a Bluetooth speaker. If your USB keyboard and mouse don’t work, you can use a Bluetooth keyboard and mouse. The point is, if you have a functioning Bluetooth card, you need to worry less about compatibility issues with other hardware. The other parts don’t matter as far as operability and driver compatibility go. For the most part, I would recommend going with the smallest and cheapest components. The smaller and less power intensive your build, the more roles it can function in, such as carputer or set-top-box. As far as tiny Mini-ITX computer cases go, the best options include two Wi-Fi SMA connector holes inside of the case. There are a few reasons why you need SMA connector holes in the case. First, most budget motherboards with embedded processors do not include onboard Wi-Fi or Bluetooth. That necessitates drilling holes into the I/O shield in order to support the Wi-Fi plugs. Second, both Wi-Fi/Bluetooth combination cards require two separate antennae. A single antenna may experience wireless connectivity issues. 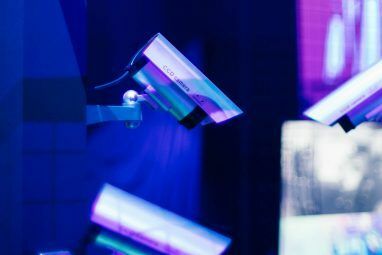 At the very least, it will reduce connection distance and coherency. There are just a few cases that I would recommend for an Android build, and they aren’t exactly amazing. They are generally good enough to support some uses. M350: The M350 can store a single 2.5-inch drive along with a forward-mounted USB device. It’s overall very sturdy, a bit heavy, and enough for most people’s needs. On the downside, it only includes a single SMA connector port, which means you’ll have problems with Bluetooth if you are using a two-antenna wireless card. Antec ISK110: The ISK110 is a pretty solid case, combining plastic and metal. It has a few shortcomings. 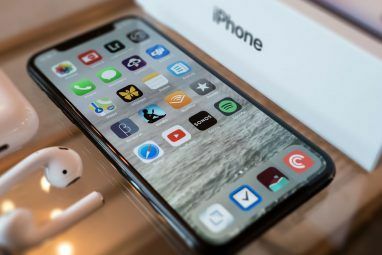 While it can store two 2.5-inch drives, it lacks dedicated SMA holes, which forces you to use a dongle for wireless connectivity. It also includes an 80-watt integrated picoPSU—it’s the best deal out of the small Mini-ITX cases. MX500: This is probably the best Mini-ITX case available. It supports two 2.5-inch drives and includes three SMA holes. I have never built on this system before, unfortunately, so I cannot say anything about its quality. The least important component for an Android PC is the RAM. Some motherboards use a feature known as dual-channel RAM for better GPU performance. Unfortunately, almost all embedded motherboards do not support dual-channel memory. So you can oftentimes get away with using just one stick of RAM. Either 2GB or 4GB works fine and the speed of the RAM largely doesn’t matter. At least, most users won’t notice a performance difference between fast and slow RAM. The one thing to watch out (aside from RAM generation, like DDR3) for is Small Outline DIMM (SO-DIMM) versus dual in-line memory module (DIMM). Some smaller motherboards, like Mini-ITX, use SO-DIMM laptop RAM. Double check to see if your motherboard supports it. Android is designed for solid state storage (what’s an SSD? 101 Guide To Solid State Drives 101 Guide To Solid State Drives Solid State Drives (SSDs) have really taken the mid-range to high end computing world by storm. But what are they? Read More ) and doesn’t take up much space on a storage drive when installed. On top of that, Android apps are generally pretty tiny. Unless you’re creating an Android gaming computer, a 16GB SSD is more than enough for most users. However, if you already have a hard disc drive (HDD), feel free to use one. Just don’t expect snappy performance. If you’re looking for a bargain-basement-priced drive, Adata’s SP600 64GB drive currently clocks in as an affordable entry-level SSD. I prefer using the cheapest possible power supply unit (PSU): a picoPSU. A picoPSU leverages a combination of low power consumption, efficiency, and low cost. If your build consumes 20W of power or less while active, you can use the cheapest class of picoPSU, which costs around $40 for both the adapter and the supply. I recommend pairing an 80-watt picoPSU with a 60-watt adapter. If you do build an Android-specific computer, I recommend using the cheapest possible parts. Use as many used and pulled components as possible in order to reduce build costs. On top of that, keep in mind that you should always update the firmware (BIOS) of the motherboard. A lot of motherboards do not work with Linux until they receive the latest firmware update. This build costs very little. However, you may want to buy a USB dongle for wireless connectivity because the M350 case has a special cage for it. If you do buy a dongle, you won’t need the Intel 7260 card or the SMA plug + antenna. An even cheaper build uses an SBC. Some SBC boards already include RAM, storage, and wireless. The overall price is well below that of an Android computer. What Parts Should You Use for an Android PC? Some possible build roles include carputer, Point of Sale head unit, emulator machine, and a high-end HTPC. These aren’t expensive computers. Use the cheapest possible parts you can find. Try using parts you already own or can pull from working machines. If they don’t work, then consider buying parts with a reputation for functioning in your preferred version of Android. If you do not have parts already on hand, you are mostly better off with an SBC build. Before actually building an Android computer, I highly recommend reading about how to save on buying PC parts 3 Simple Ways to Save Money When Building a New Computer 3 Simple Ways to Save Money When Building a New Computer There are a few tips and tricks you should know to save even more money when building a PC. Read More . Explore more about: Android, Raspberry Pi, Single-Board Computers. For the money involved, it's probably easier to buy and repurpose a Chromebook than muck about with these sorts of machines. I know low-power PCs are a subject of interest, but there's no cost saving here from the white-box kit to the prebuilt option. As a bonus, the Chromebook will probably have a lot more RAM and it'll have both internal and removable storage available. You'll lose out on some legacy I/O options, but depending on one's needs, that might even be an issue. There are advantages that a custom Android system has compared to a Chromebook or Chromium-based device. You're right, though, the goal is to repurpose old hardware, not buy new hardware. The goal of this article is to establish what works and what doesn't. Basically Atom boards are far more likely to work. BTW, I don't understand how some Android apps enable legacy ports. I know some users might want to enable an ancient receipt printer for use with a POS head unit, but I haven't the slightest idea how the drivers for those printers might be enabled on Android. There are apps out there that do enable legacy ports, but I'm a little doubtful that they work as advertised. Anyway, the savings come from already having some, or most, of the parts. Build costs have increased a fair amount recently. So much so that low-ram systems have greater value. And there are a lot of specialized apps that only work on Android and not on older Chromebooks.